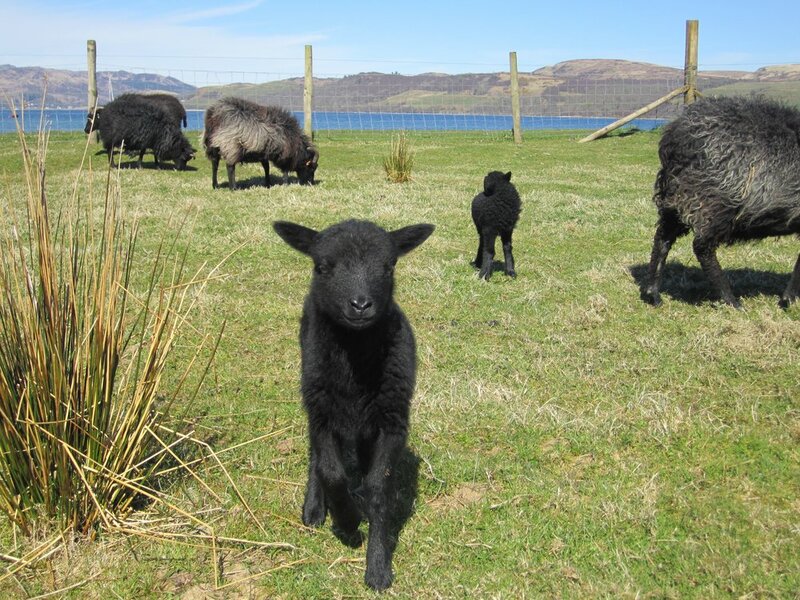 Those that have visited Carry Farm, will have met the small flock of hebridean sheep grazing in the fields by the shore. Their beautiful dark fleece produces a sustainable yarn, for the production of textiles by Fiona at her studio at Carry Farm. 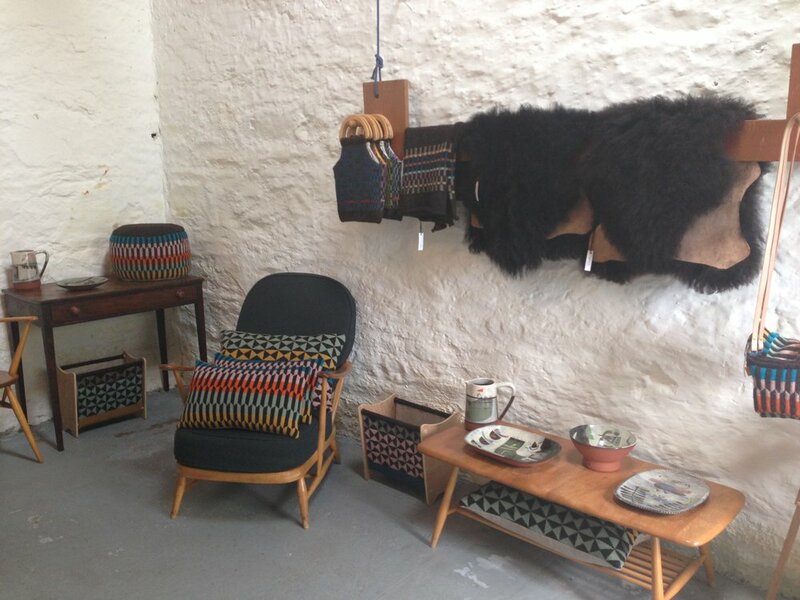 Yet it does not end there, a very limited number of sheepskins, from the Hebridean sheep, are available to purchase in The Dairy Gallery. When it came to tanning the sheepskins, Fiona did not want to spoil the precious commodity grown and nurtured on Argyll’s Secret Coast, with a chemical process. Instead she favoured an odour-free tanning method using only organic materials, tree bark, salt and water. Luckily, there is a very special local tannery in Argyll which does just that, and ensures provenance is not jeopardised by unnecessary mileage or chemical procedures. The tannery is located in the former laundry building on the Torrisdale Castle Estate, a short ferry trip away from Carry Farm, and specialises in the production of naturally coloured sheepskins using an ancient tanning method that produces a superior skin. It will be no surprise to you that it is a very lengthy process using a tanning extract derived from tree bark. Initially, the skins are cleaned with a sharp knife and throughly washed. 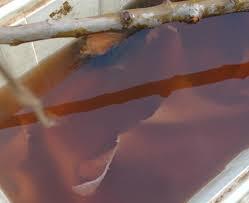 They are then immersed in a solution of tree bark, salt and water. Over a period of several weeks, the tree bark solution is tweaked and perfected to a secret recipe. Throughout this process the skins are moved frequently to ensure an even tan and eventually require washing many times to remove all traces of salt. 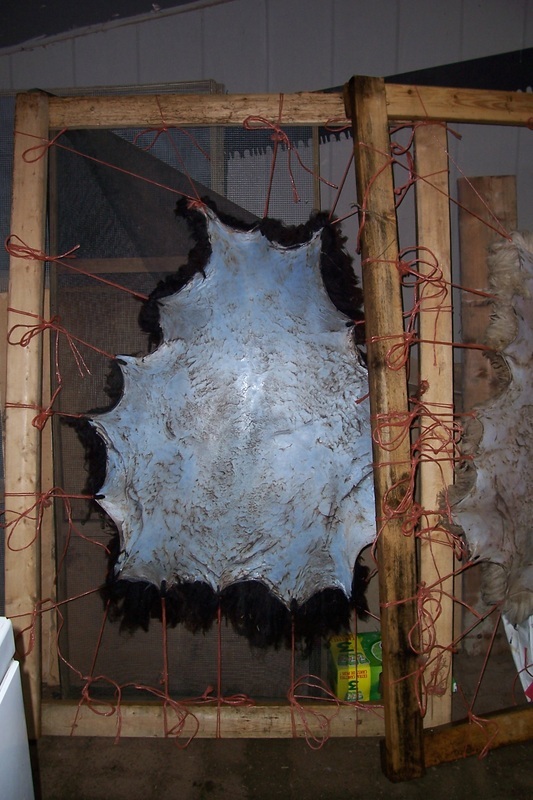 The sheepskins are then pegged out on a wooden frame using ‘tenterhooks’ to dry naturally. And finally the wool is carefully brushed, a process which can take several hours, but the end result is a sheepskin with a finish that is beautifully tactile and luxurious. Did you know that tenters were originally large wooden frames which were used as far back as the 14th century in the process of making woollen cloth? The lengths of wet cloth were stretched on the tenter using tenterhooks (hooked nails driven through the wood) so that as it dried the cloth would retain its shape and size. By the mid - 18th century, the phrase “on tenterhooks” came to mean being in a state of tension, in other words, like our Hebridean sheepskins during the drying process! Of course a chemical tanning process could be employed, enabling large quantities to be tanned at a fraction of the price. Unsurprisingly, this is not the Carry Farm way - Ikea they are not! Carry Farm seek to benefit the many by producing a beautiful product, establishing sustainable practices, creating viable enterprises and contributing to the communities of Argyll. Provenance is at the very heart of what they do. 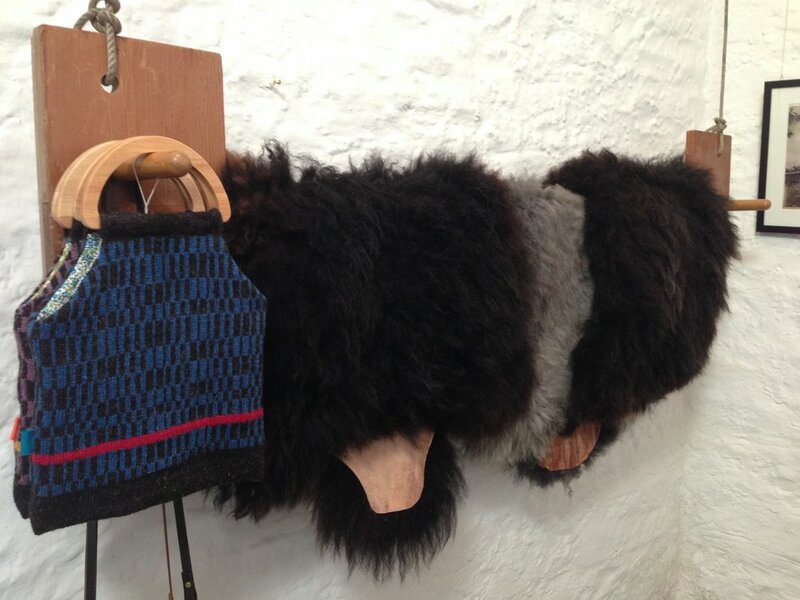 If you would like to own one of the beautiful Hebridean sheepskins, grown and nurtured at Carry Farm and tanned across the Loch, there are currently ten, soon to be ready for sale, in The Dairy Gallery. If you would like to reserve one from the limited run, please contact Fiona for further information.